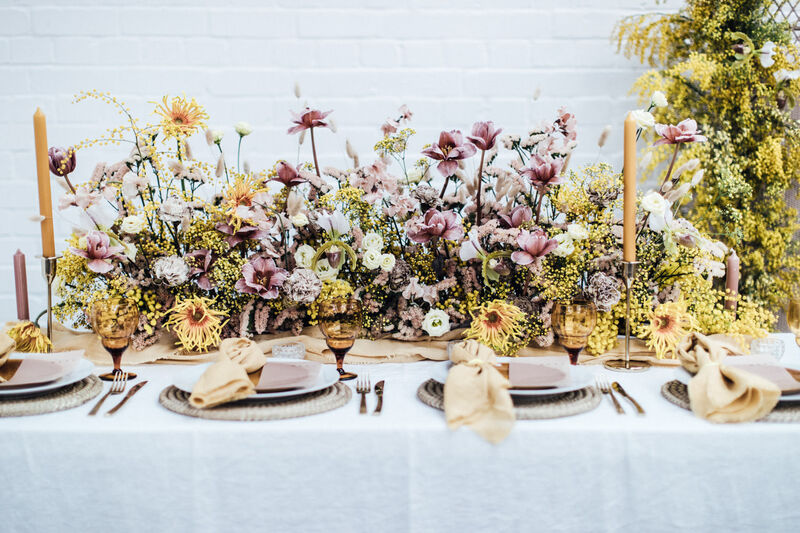 Actually cool wedding flowers: None of that old-fashioned nonsense for Most Curious weekend – Bloaum brought the bright yellow and pink to spark joy in their little corner of an East London warehouse. It’s hard to choose a favourite florist from MC’s array of wedding superstars, but if pressed we might have to opt for Bloaum. That yellow’s just too happy to ignore.